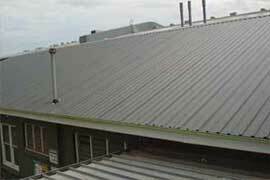 Roof Impressions provides roof restorations and roof repairs to houses and businesses across Sydney! How many times have you heard that preparation is the key? 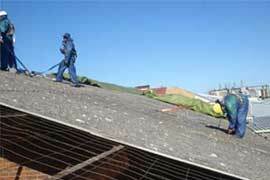 This is also paramount in roof restoration. Combine thorough preparation with the application of the Dulux Acratex 962 Roof Membrane system which is a high build elastomeric, flexible coating designed specifically for Roof Restoration, by an experienced registered applicator and the result is a high quality finish with a film thickness that is between two to three times greater than conventional paint. This should take on average three days; one day for cleaning, one day for tile maintenance, and one day for Prep Kleen and coating. Of course this is subject to weather conditions and the size of the roof. Why we use it? The pure fact that the Dulux Acratex 962 Roof Membrane system is a vital key in ensuring long durability and a premium finish that provides maximum protection for your roof against crack bridging that can maintain weather resistance. We can provide a 10 year material warranty from Dulux Acratex to compliment workmanship warranty. 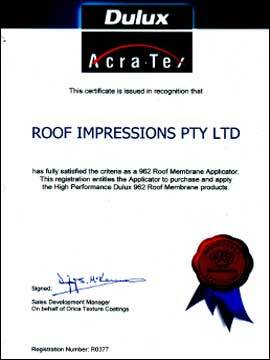 What is the 962 Roof Membrane coating system? 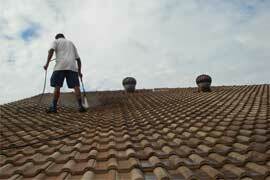 Prep Kleen: is applied after pressure cleaning the whole roof. Particular attention is payed to the areas not washed by the rain which is generally a trap for collection of debris. It is a low toxicity bacterial fungal and algal wash which is formulated to treat fungal spore growth before over-coating. 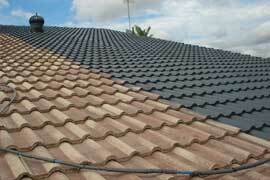 Roof Sealer: is a product formulated to consolidate and encapsulate the surface layer of the tile. 962 Roof Membrane: must be applied as a two coat application creating a thick glossy protective membrane that duplicates a new roof and aids in the prevention of dirt accumulation. There are thirty-six stock colours in the 962 Roof Membrane range which reflect the present day roofing trends. Colours can be customised, but are restricted, due to water collection formulations as well as minimum production requirements. We also provide a Cool Roof colour within the 962 colour range, that produces a high degree of solar reflectance designed to keep your roof cooler throughout summer resulting in lower energy consumption.